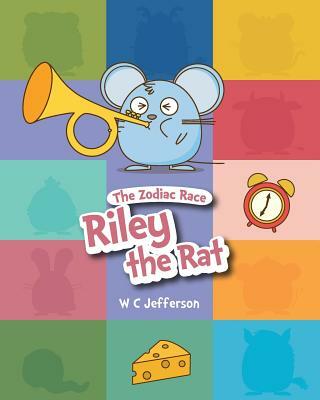 The zodiac race is on Riley the Rat is joining the race hoping to win, but she is a small animal. Would her small size slow her down? What can she do to overcome that? A tough journey lies ahead of her as the race will take her through tall mountains, a deep dark forest and a freezing river. Little readers will find out about how Riley the Rat claimed her Zodiac sign, and also learn the order in which all the zodiac animals were placed in the race. W C Jefferson's charming rhymes and T F Wister's whimsical drawings bring to life a new version of an ancient tale of how the 12 animals of the Chinese Zodiac came to have a year named after them. W C Jefferson is a father of 2 who had a dream about writing story books for his children and reading it to them at night - The Great Zodiac Race and his Zodiac series are the realization of his dream. His book The Great Zodiac Race was the winner for 2017 Best Book Awards - Children's Picture Book: Softcover Fiction.